While no glove is 100% puncture or cut proof, TurtleSkin FullCoverage Gloves give you both cut and puncture protection in one glove. These full-coverage gloves provide protection for your whole hand, including your wrist. 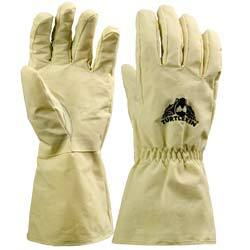 TurtleSkin FullCoverage Gloves come in two levels of protection. As the protection and durability increase, the comfort level may decrease slightly. Choose the correct amount of protection you need for the greatest amount of comfort. 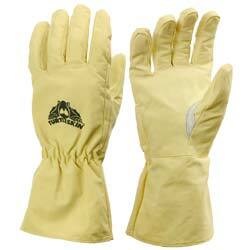 100% aramid protection with excellent cut protection. Needlestick protection. Added coating offers best combination of durability and grip. Cut and puncture protection everywhere. Increased durability with added coating on aramid blend. Good dexterity and moderate puncture protection.